Each of us wants to have a relationship with someone who would pay enough attention, and Kathryn Bernardo is no different. 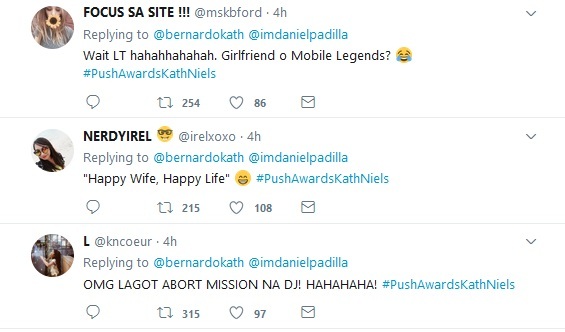 The 'La Luna Sangre' star surprised her fans after posting on twitter about her rumored boyfriend Daniel Padilla, who perhaps is getting addicted to Mobile Legends that drove her crazy. 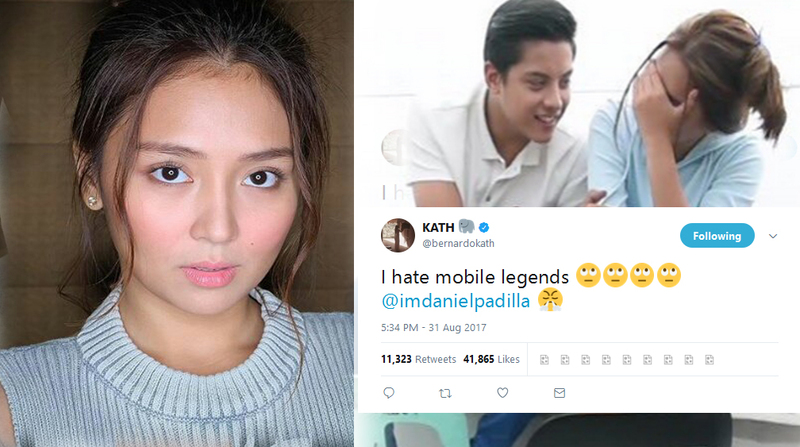 In her post, the actress wrote: "I hate mobile legends @imdanielpadilla." Fans were quick to react on it with some jokingly asked Daniel to choose between her and the popular mobile game. 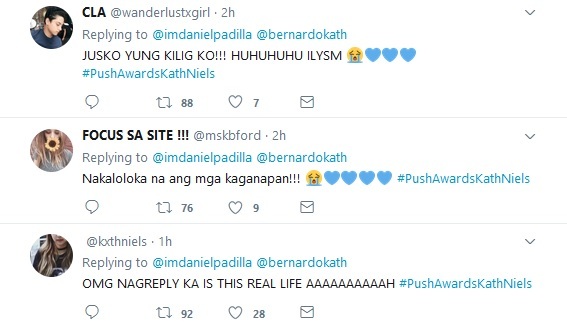 Others even took time to look for Daniel's previous tweet and made as if it was his response to her. 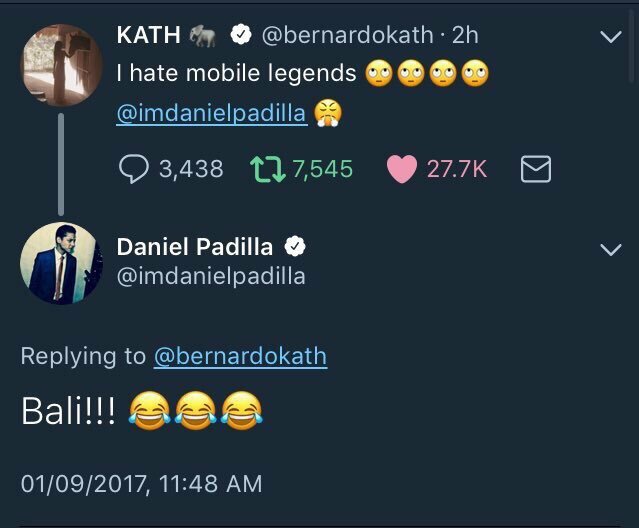 But what made them felt kilig is when Daniel called out Kathryn using their term of endearment with 'laugh-out-loud' emoji.